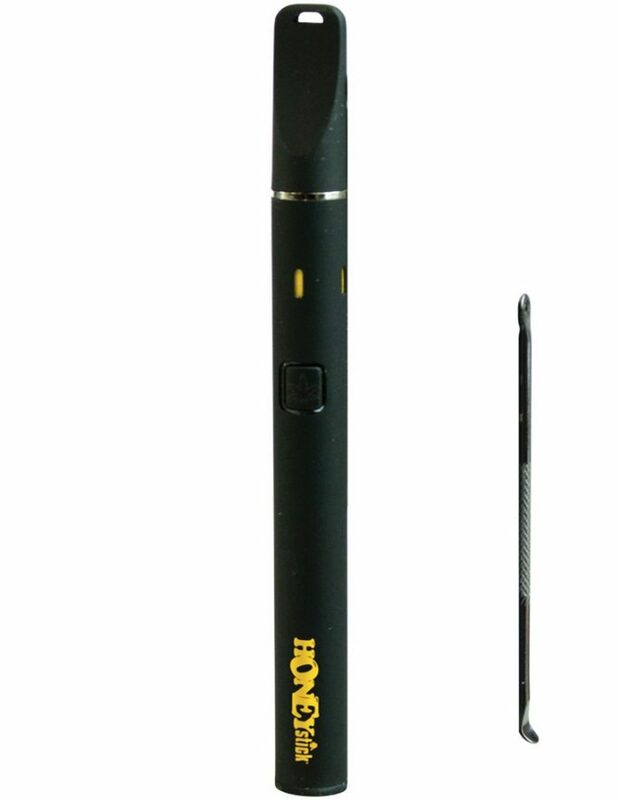 Honey-Stick RIP & DITCH DAB disposable vaporizer. Tyga x Shine and Atmos have come together to create the Kiln RA: Gold Edition. The Kiln RA builds upon the original Kiln attachment by introducing revolutionary rebuildable atomizers to the iconic waxy heating attachment. And the Kiln RA Kit comes with everything you need to jump into the world of wax consistency product vaping. Easy to use and maintain, the Kiln RA’s deep ceramic chamber is capable of handling an impressive amount of product, satisfying one of the biggest requests of waxy vapers. Renowned for its versatility, the Kiln RA is equipped with an advanced dual post system that makes changing your ceramic coils faster and more convenient than ever. 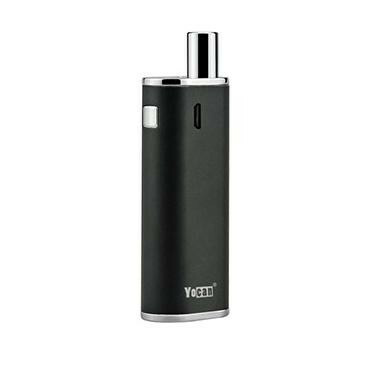 The device uses a powerful and portable 950mAh lithium-ion battery with an upgraded painting process for a longer lasting pristine shine, complete with Dual PCB/IC Protection to prevent overcharging and shortages. The Tyga x Shine Kiln RA: Gold Edition is the peak of fashionable, and functional vaping. Size: h 2.12 in, d .875 in Developed & Designed by Atmos Nation. 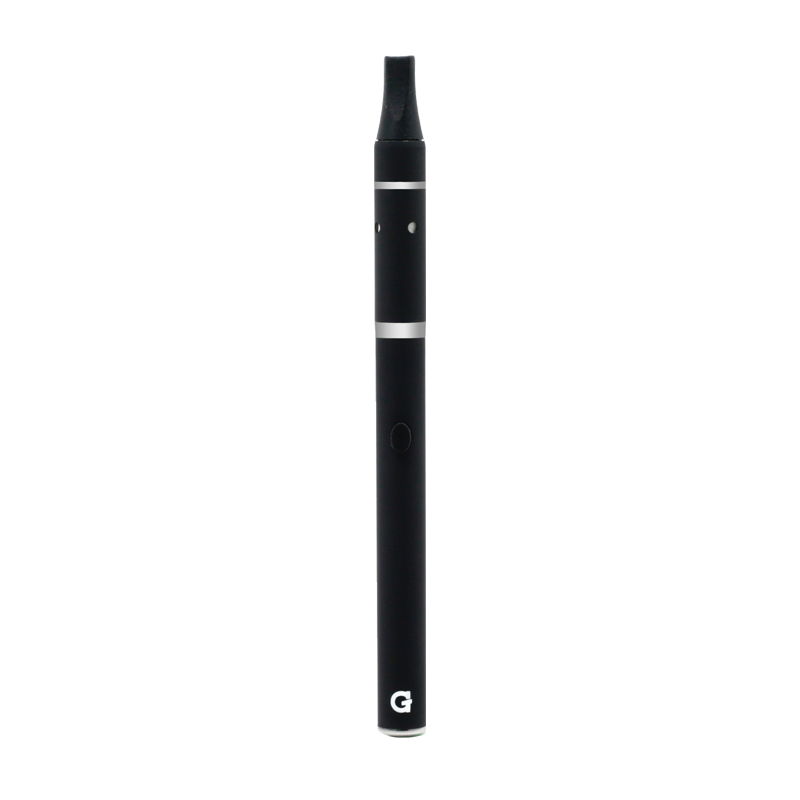 Quartz dual coil wax vaporizer pen with built-in silicon jar and micro USB port. 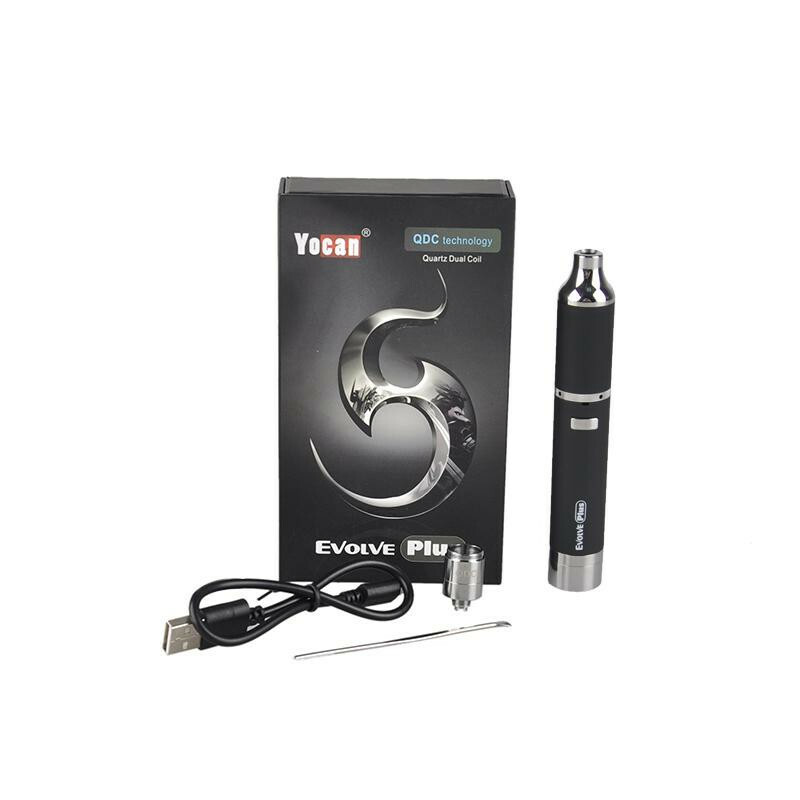 The Evolve is designed with purity in mind, the atomizer coils are crafted with Quartz instead of traditional ceramic for the purest experience. The Quartz dual coil guarantees a crystal clean and smooth experience. 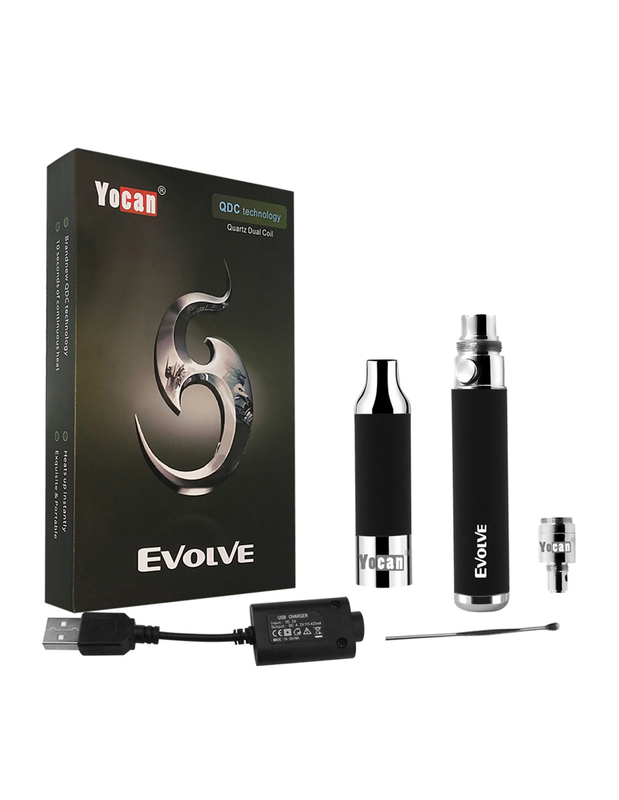 The Amazing new Yocan Evolve Vape Pen Features sub ohm dual quartz glass rod coils for powerful, clean vaping in a very compact and durable pen. 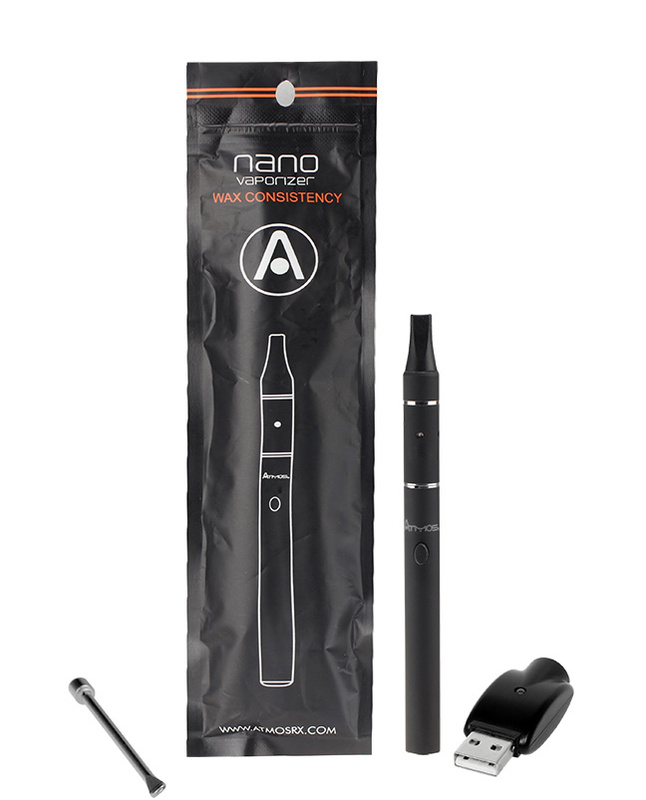 Easy to use, this kit comes with everything you need to start vaping.